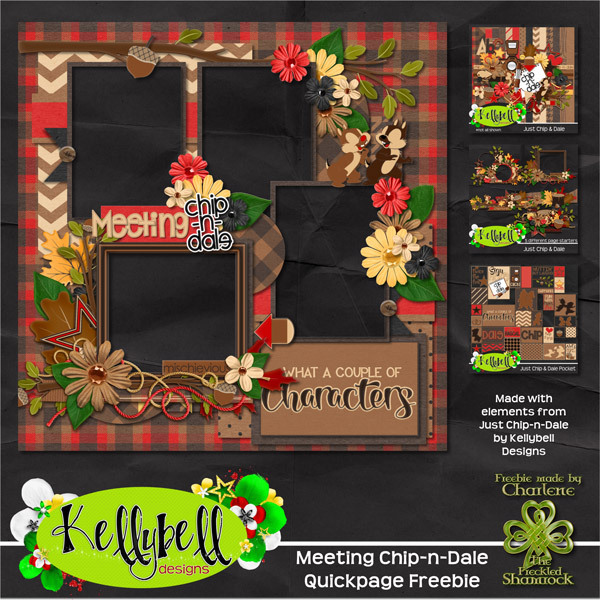 Before you fill your cart with fabulous deals, be sure to check out the fantastic Meet & Greet Quick Page Freebies the Creative Team has to start the season of holiday giving! Chip and Dale are so nutty they are some of our favorite characters to meet. Thank you so much, Charlene! Thank you for the cute page!